You can get message notifications with several ways on WhatsApp. We have told you many of these notifications and we have published several articles regarding this subject. You receive message previews on your device by default with WhatsApp Messenger. We will tell you how to disable these previews for iPhone devices on this page. We will provide these steps with pictures at the next paragraph. You can check these steps and pictures. If you have any questions regarding this subject, please let us know. 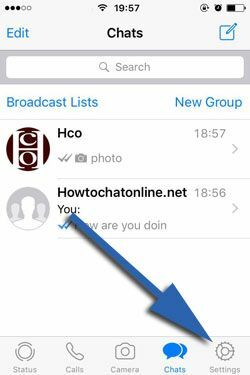 What Happens if You Disable Message Preview on WhatsApp Messenger iOS? 1-) Run WhatsApp Messenger on your iPhone or iPad. 2-) Tap on “Settings” (cog icon). 4-) Swipe down until you reach the “Show Preview” section. It is highly likely that “Show Preview” is enabled. Please disable this option via tapping on the section. That’s all. Now you have disabled WhatsApp message preview on your iPhone or iPad. You don’t need to do something else for disabling this option. You can apply all these steps above for your iPad devices too. There is not any differences. You will able to find more information regarding this subject for Android devices too on How to Chat Online. Disabling this feature won’t limit usage of WhatsApp Messenger much. 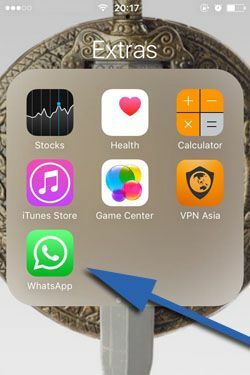 A summary of WhatsApp messages are generally appears on notifications, you will not see any summary of messages with disable this feature. Hopefully, you have disabled message preview with the guideline below. 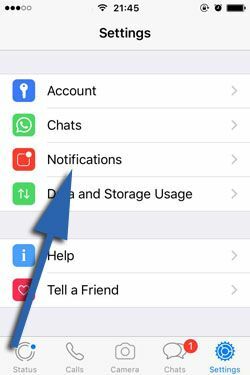 We provided all steps for you and all related images for disabling this feature of WhatsApp on iOS devices.